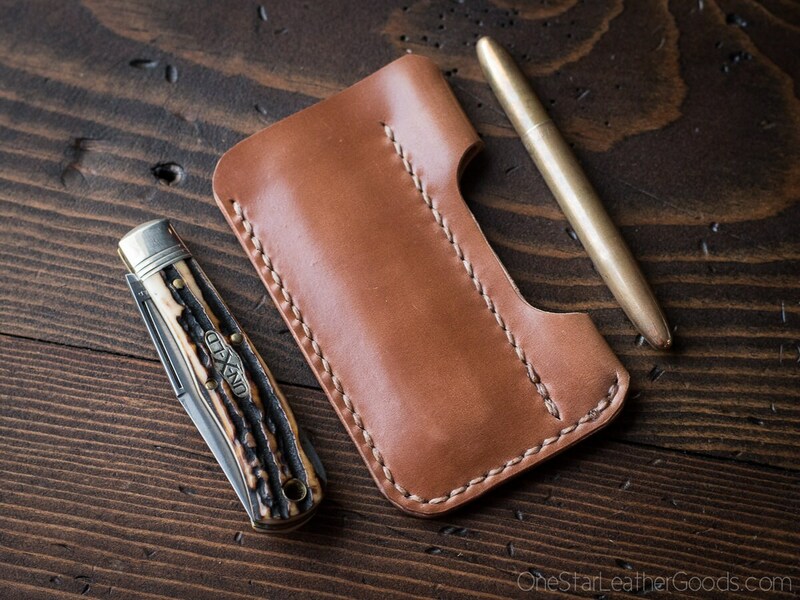 A simple everyday carry case to protect your pocket knife and Fisher Space Pen in Horween shell cordovan leather. Works great with Great Eastern Cutlery traditional slip joint knives and others. Pen and knife note included, this is just the case. 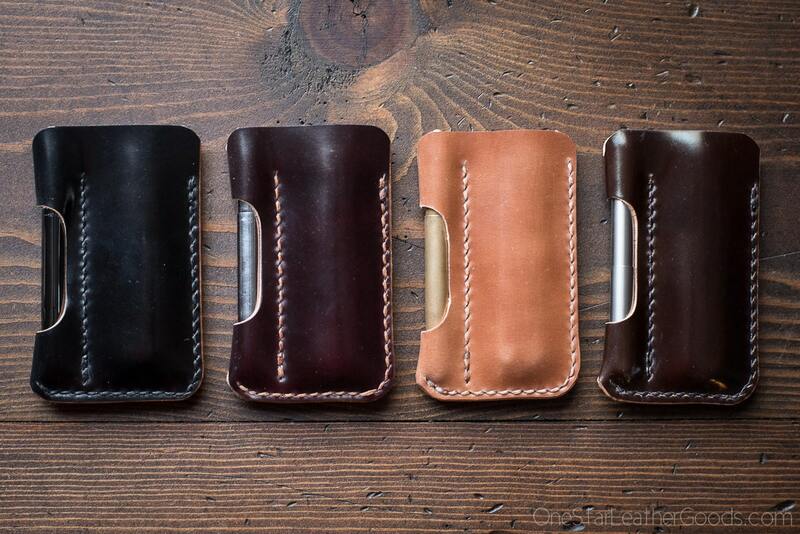 Shell cordovan makes a superior knife slip. 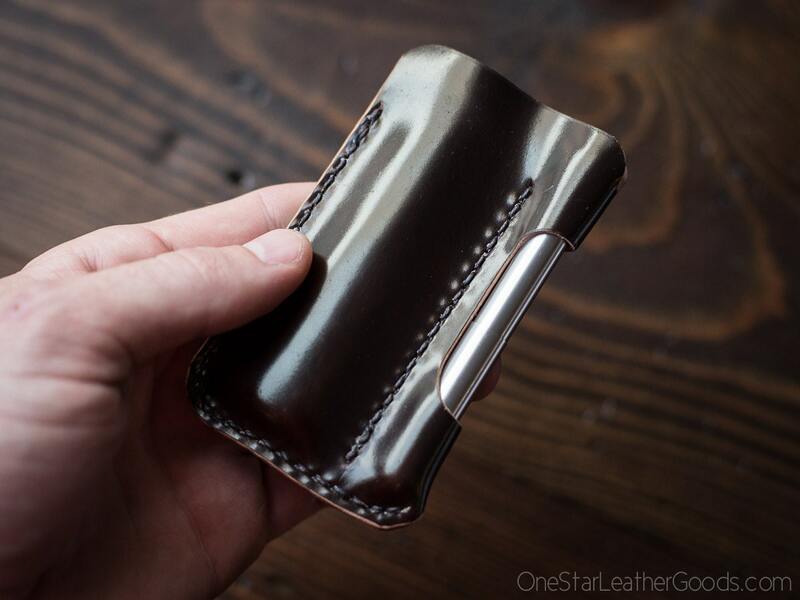 This leather, arguably the finest on earth, has a unique ability to smoothly form to the shape of what you put in. After you use this slip for a while it will mold to the knife inside. You can see this in the pictures attached. The slip starts flat as a board, but quickly will hold the shape of your knife. 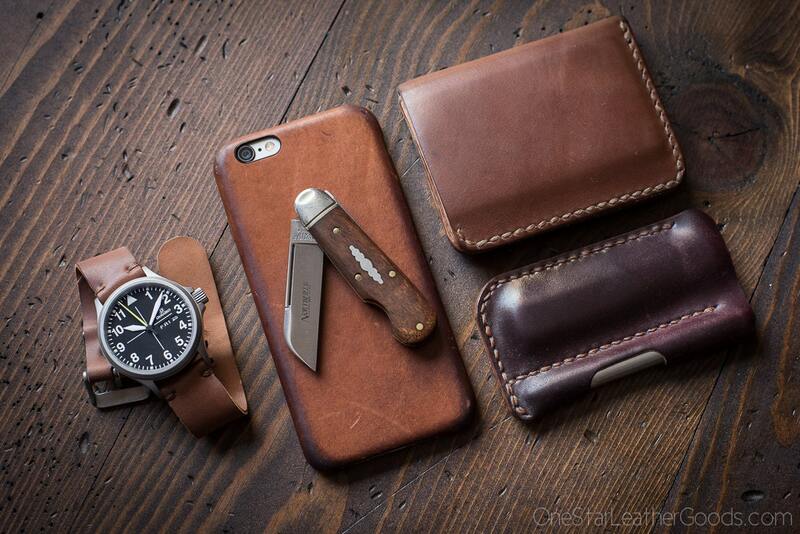 There is no better material for a knife case of this type. My go-to knife slip. 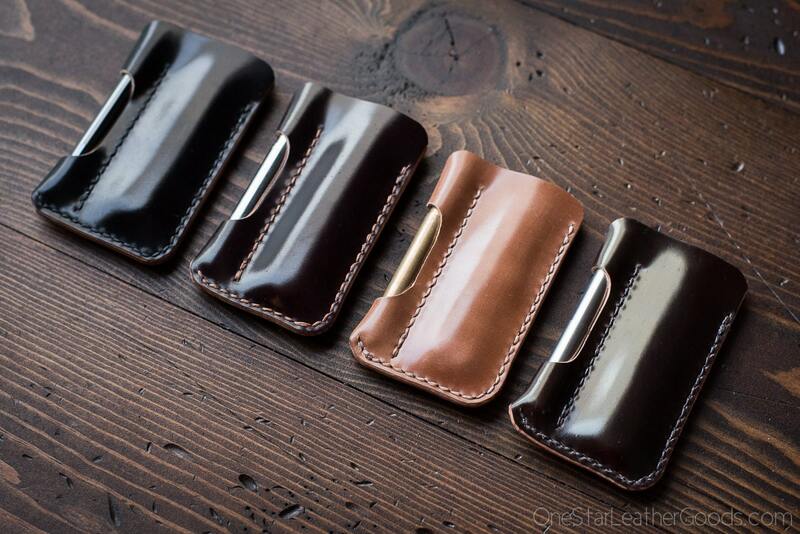 Beautiful leather, well made. Прекрасная работа, EDC-1 отлично подошел для Strider PT CC. Спасибо! Extremely well crafted and great communication.